The Russians have their vodka and the French their wines. The Okinawans, for their part have their awamori, a locally produced liquor that brings people together, mixes well for cocktails, and pairs well with nearly every type of food. The Okinawans, indeed, have reason to be proud of their awamori, and it’s a pride that increases with awamori’s increasing popularity outside of the island. Here are a few interesting things about awamori, a Japanese liquor that goes beyond your usual sake. Ask your favorite Japanese restaurant, such as Benihana, if it carries awamori and enjoy it, if it does. Awamori is actually an import from Thailand to Okinawa but it has since become the island’s de facto official liquor. According to historians, it was introduced when Okinawa was still known by its old name, Ryukyu Kingdom, which was present from 1429 to 1879. The Okinawans adopted awamori as their own and it’s still true today. But during World War II, Okinawa’s sake industry was virtually wiped out. The Battle of Okinawa led the Okinawans to hide in caves bringing with them their awamori. Such was the devastation on the island that only the Tsukayama Distillery survived the air raids; it was later used by American troops as their barracks, bread factory, and office until 1947, as well as declared a national heritage site in 2009. Just like the Japanese people, Okinawa’s sake industry rebounded and, today, there are nearly 50 distilleries on the island. At first, the Okinawans dug into the ground and recovered black rice mold, an essential ingredient in making awamori, a determination that has been rewarded with the resurgence of their favorite liquor. It can be argued that alcohol brings people together, both in good and bad times, in happiness and in sorrow, and from births to deaths. This is true for nearly every culture and civilization, too. But where awamori is concerned, it literally brings people together, even closer on a physical level. The Okinawans drink awamori in chibuguwa, a type of sake cups that are so small each one can practically fit on your fingertip. These sake cups, ochoko in the native language, are so small that you and your drinking buddies have to come close together for a toast, nearly touching heads as it were. With near physical contact comes more closeness, a precursor to a deeper friendship that can develop over several cups of awamori and, later on, over several drinking sessions. Now compare these sake cups with the large wine and beer glasses. You will agree that there’s a sense of separation between the group members, especially as making a toast doesn’t necessarily involve clinking glasses against each other. Awamori is made from a combination of black koji rice mold and imported Thai rice, which are then subjected to a single fermentation process lasting anywhere from 5 to 6 years. While it can be enjoyed straight, it’s also traditionally mixed with hot or cold water and, in recent times, on the rocks. Okinawan bartenders, however, have found that awamori is a versatile drink that can be mixed with other ingredients to make cocktails. With its strong alcohol taste and transparent color, it can be likened to gin and vodka, both of which are popular liquor base for cocktails. Pouring awamori over sliced oranges, lemons, strawberries and mint for a couple of days to make sangria. Drink either on the rocks or mixed with tonic soda. Mixing 30 ml of awamori with pineapple juice, fruit liqueur, and blue Curacao. Aside from being a mixer for cocktails, awamori is a great wine for food pairing, thanks to its refreshing flavor profile. 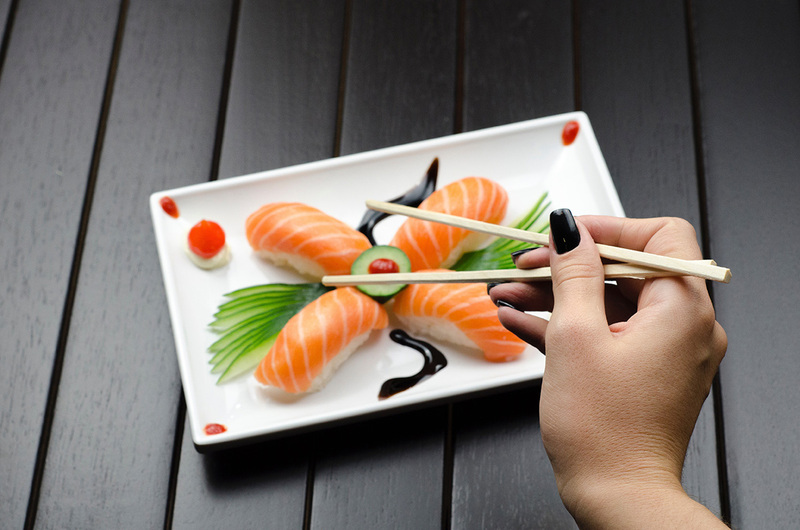 Nearly every world cuisine including Japanese, French and Italian can be paired with it to great effect, from roasted pork, pasta and sausages to carpaccio, sashimi, and sushi. And if you’re worried about calorie and sugar content, awamori is actually a liquor with a low calorie and sugar content! In fact, it’s completely free of sugar and proteins so you can drink as much as you want without worrying about packing on the pounds. Of course, this is assuming that you’re not eating too much of the food. But like all food and drinks, moderation is key to the enjoyment of awamori. Keep in mind that it’s an alcoholic drink and, thus, you have to consider its short-term and long-term effects when consumed in excessive quantities. Do as the Okinawans do: Drink and be merry but remember that there’s still tomorrow to, again, drink and be merry. Watch your drink!